Inflammation of the gums is also known as gingivitis, it is one of few components that make up periodontal disease. Conditions affecting a cat's gums and the portions of their teeth below the gum line causing gingivitis may include feline odontoclastic resorption lesions (FORL). 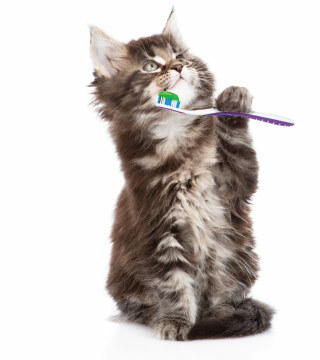 Periodontal disease is considered the most prevalent illness in cats over three years of age. However, it is also the most under diagnosed, because many cat owners unfortunately just do not realize the importance of cat dental care. Although detection of cat gum disease can be subtle, periodic veterinary checkups every 6-12 months can be effective in helping diagnose cat gum disease before it becomes severe. The cost of cat tooth extraction is based on the type of procedure performed, and may include hospitalization, anesthesia, pain medication, x-rays and surgical supplies. Therefore, it's best to always take preventive measures to avoid surgeries and cat tooth extraction procedures.